Lexicom 2014: a personal account of Valentina Apresjan (School of Linguistics at the National Research University “Higher School of Economics”, Sector for Theoretical Semantics at Vinogradov’s Russian Language Institute, Moscow). This lexicographic workshop was an event I had been looking forward to for several years, being a practising lexicographer myself. I learnt about the Sketch Engine in 2013 when my colleague attended Lexicom 2013, and it only increased my desire to go. Usually when one has such great expectations about something, they are bound to be disappointed. However, in this case, the actual event beat all my expectations. When I was going, I was hoping to improve my knowledge of the Sketch Engine, the wonderful lexicographic software developed by the organizers of the workshop. But I did not anticipate a life-changing experience. As it turned out, the workshop had a profound influence on me as a lexicographer, linguist, teacher, and human being. I would like to start by saying that the workshop was organized and led by a group of absolutely amazing people, of whom I’d specifically like to mention Adam Kilgarriff, Michael Rundell, Miloš Jakubíček and Terka Olšanová. They made every aspect of this event run smoothly and efficiently, yet did so without any seeming effort and in such a friendly informal manner that immediately set one at ease. This personal touch was something I had felt even before I arrived, when Adam, Michael and Terka were patiently answering my numerous questions and taking care of my special requests about invitations, payment methods and other concerns I had. This warm and friendly atmosphere pertained all through the workshop making it into something much more than just a professional event. 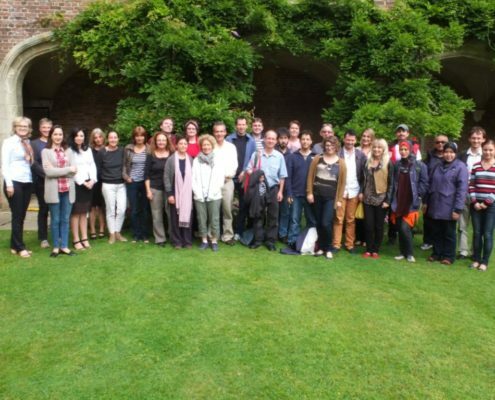 I would like to add that the workshop attracted a very diverse and interesting group of participants from all over the world, and the whole setup encouraged developing professional and personal contacts. 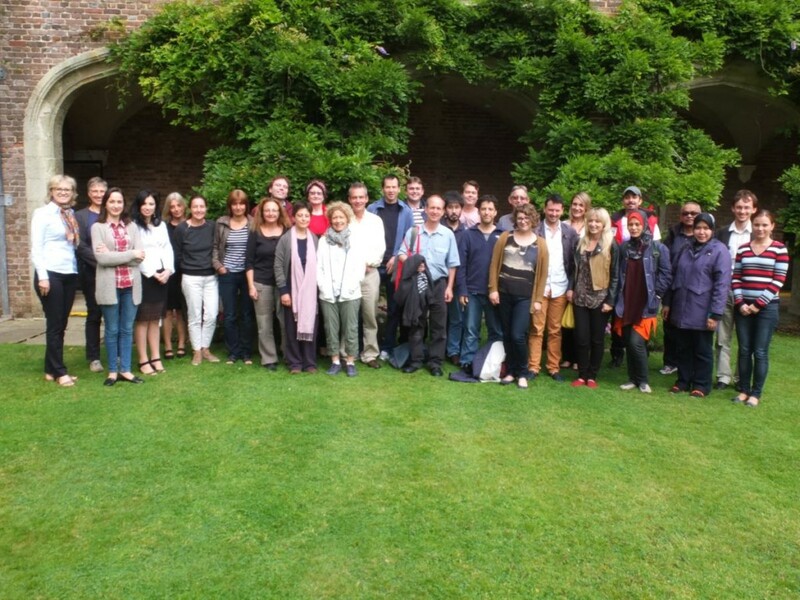 The beautiful venue (medieval Herstmonceux castle) and the cultural program also contributed to making the workshop into a truly unforgettable experience. Professionally, the workshop is extremely useful for a wide range of specialists. Lexicom 2014 included lexicographers, corpus and computer linguists, theoretical linguists, language teachers, linguistics professors, publishers and other groups of professionals. As a lexicographer, I especially benefited from the workshop by learning about the different options of the Sketch Engine. It is a corpus query system which comprises corpora of dozens of languages, including parallel corpora. Unlike other text corpora, it provides not only concordances of words, or lists of examples, but also automatically generated word sketches, which reflect the most frequent collocational “companions” of a word in different grammatical constructions. For a dictionary-writer, especially compiling dictionaries of an active (learner) type, the wealth of structured information about the semantic and grammatical properties of a word that can be acquired in mere minutes, is really invaluable. As a theoretical lexicographer, I appreciated the focus of the workshop on different aspects of commercial lexicography, including its attention to the target audience, usability, and diverse techniques for attracting readers in the age of easily accessible Internet information. It has really altered my thinking about what a good dictionary should be like, and I am hoping to incorporate some of the principles I learnt into my own work. Participants get to compile their own dictionary entries under the guidance of Michael Rundell, which is a very useful exercise even for an experienced lexicographer. Lectures about crowd-sourcing in lexicography were also extremely inspirational. They have already resulted in some crowd-sourced lexicographic projects with my students at the National Research University “Higher School of Economics”. If I were to attend the workshop again, I would appreciate more information on and perhaps practice with dictionary writing systems (though I understand why this might be difficult to fit into a 5-day session), as well as some practice with online lexicography – perhaps learning how to build a successful online dictionary. As a theoretical linguist, I was amazed by what the Sketch Engine can offer to someone working in the area of lexical and grammatical semantics. Queries about constructions are not as easy as about words, and require knowledge of the corpus query language and regular expressions, but once one masters them (with the patient help of Adam Kilgarriff and Miloš Jakubíček), one’s opportunities for studying the collocational properties of constructions and, thus, of their semantics become nearly infinite. I have since given several talks on semantics and pragmatics of constructions, based on the Sketch Engine data, and received many requests from colleagues for a master class on using this software for studying semantics, pragmatics, and construction grammar. Last but not least, I would like to comment on the benefits of the workshop for one’s teaching. I teach five courses per year, and I have used the Sketch Engine in every one of them – Semantics, Modern Russian, Linguistics for Literary Scholars, Lexicography, and the first year research seminar in Linguistics. The options it provides for automatic compilation of one’s own corpora (including literary corpora, learner corpora, newspaper corpora), for monolingual and bilingual lexicography of all sorts, for the study of semantics and syntax, for linguistic typology, for sociolinguistics, for translation studies, for all kinds of comparative linguistics, for teaching language to non-native learners, are innumerable. And the students love using the Sketch Engine! I am only hoping that this year my university will be able to buy the institutional subscription to the Sketch Engine I have requested. The great thing about the workshop is that it continues beyond the five days it actually lasts. Not only do the workshop organizers remain responsive about the questions concerning the use of Sketch Engine, they are also open to professional cooperation. As an EFL teacher, I was impressed by Skell, a lighter version of the Sketch Engine, specifically designed for use in language teaching and compiling exercises for language learners. Right now it exists for English; when I saw it, I immediately wanted to have its Russian version. And if everything works out, Russian Skell may become a joint project of the Sketch Engine team and the students of Computer Science Department at the Higher School of Economics. I do not think I listed all one can learn and do at this workshop or even one half of it; after all, I was only speaking from my own perspective. But I am sure that anyone working with language in any capacity would find something useful in it. It is much more than a workshop in lexicography: it is an exciting journey into the very heart of language, with experienced and friendly guides. One only needs to be curious and ask questions!